Local Business. 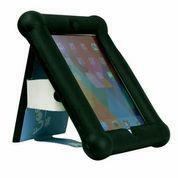 Lightweight, low cost, durable iPad case which protects from drops, throws, kicks, screen damage, cushions any impact protecting the internal workings of the iPad. website www.tabtoob.com shows just how much protection Tabtoob offers. Ideal for children, kids / adults with learning difficulties, mobility issues, engineering, haulage, building sites etc. Screen protector lid doubles as a stand.